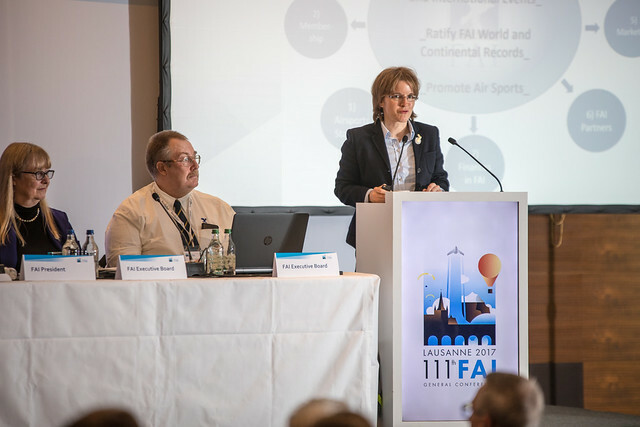 On the 22-28 of October, Lausanne, Switzerland, held the 111th FAI General Conference. As the supreme body of the FAI, the General Conference welcomes important delegates, such as patrons and honorary partners. The aim of the conference is to assemble together all the leaders of air sports from all over the world, and discuss the plans of the federation for the next year. As the global technical partner of the FAI, Noosphere Ventures managed by Max Polyakov, was invited as an event member. The General Conference took place for seven days and included varying events, such as the meeting of the Executive Board of the FAI, seminars, general meetings, the awarding ceremony, and others. 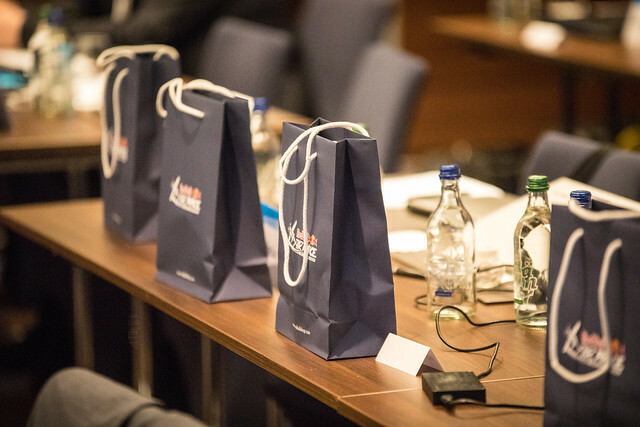 At the seminars and general sessions, participants discussed the latest developments in the field of air sports, anti-doping policy, technical support for the air sports, and much more. For example, some of the speakers were Erich Wolf of the Red Bull Air Race and Magdi El Derini, deputy Egyptian ambassador to Switzerland, as the host of the following year's conference. In the frame of the conference, Yuriy Letser from Noosphere, founded by Max Polyakov, embraced the opportunity to present the eNavigator service ("e" means "electronic" and "event"). 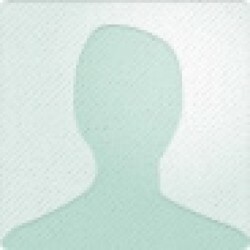 This service offers a management system for sports events and helps arrange an entire sporting event from scheduling and website creating and results tracking, to communicating with competitors. As a result of discussions and voting, two important decisions were made by the delegates. Firstly, the 1st FAI World Drone Racing Championships will be held in November 2018 in Shenzhen, China. Secondly, the 113th FAI GC General Conference will take place in Marrakesh, Morocco, in 2019. The landmark moment for Noosphere Ventures at the 111th FAI General Conference was the FAI Award Ceremony. At the event, Frits Brink, FAI President, nominated Max Polyakov as an FAI Companion of Honour; the conference body accepted the decision. This award is issued only in appreciation of outstanding achievements concerning FAI. It gives the right to attend all subsequent annual FAI General Conferences, which are closed to a wide range of people. It is also an opportunity to get acquainted and work more closely with world leaders in the field of air sports, which will allow Noosphere to contribute even more to the field of activity of the FAI. Moreover, Max Polyakov has the right to be elected to the FAI Awards Advisory Group as a FAI Companion of Honour, and make recommendations regarding the creation, restructuring or abolition of FAI Awards. A close working relationship between FAI and Noosphere has existed for about 4 years. In 2015, Noosphere Association acted as the organizer of the FAI European Championship for Space Models. In 2016, Noosphere held the FAI World Championship in the same discipline. This year, under the management of Max Polyakov, Noosphere Ventures has become the global technical partner of the FAI, and Association Noosphere has organized the student hackathon "Best Device For FAI" in May and the F3U class Drone Racing World Cup stage in September.